ELECTION 2019 – Here is a list of the political candidates for Election 2019 who have filed their Certificate of Candidacy (COC) today, October 16, 2018. The 2019 mid-term election is fast approaching. 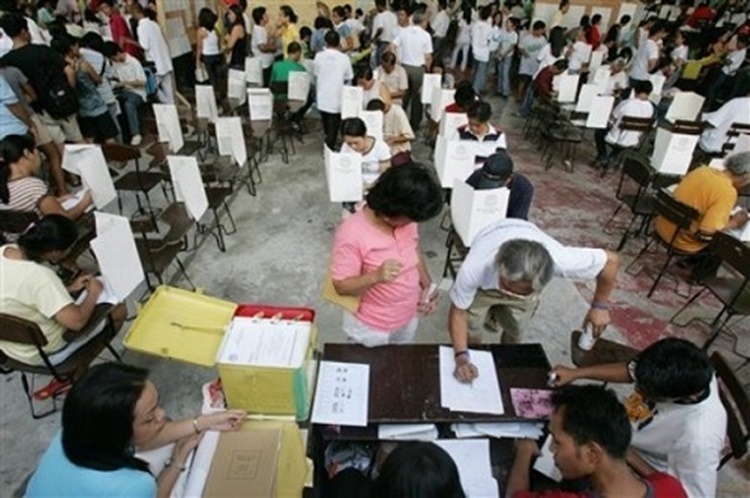 Many incumbent politicians and aspiring politicians have already filed their COCs at the different Commission on Election (COMELEC) offices. Some aspiring political candidates for the upcoming election have issue statements regarding their candidacies while others chose to remain silent. The people also have different reactions towards the different personalities filing their candidacies. Jejomar Erwin “Junjun” Binay Jr. – The former Makati Mayor has filed his candidacy for the same post he had in 2013. Gemma Lubigan – The wife of the late Trece Martires Vice Mayor Alex Lubigan has decided to run for Mayor of the same town. Mar Roxas – The former interior secretary is once again offering his service to the people. In 2016, he ran for President but lost to President Rodrigo Roa Duterte. Paolo Benigno “Bam” Aquino IV – In case Sen. Bam Aquino would be victorious in the Election 2019, it is going to be his second term in the Senate. Pia Cayetano – Based on the report, Rep. Cayetano rode a bicycle from Rizal Monument to the COMELEC Office in Intramuros to file her candidacy for Senator in the Election 2019. Imee Marcos – The daughter of the late former Pres. Ferdinand Marcos is reportedly determined to make an action regarding the increasing inflation rate in the Philippines in case she will secure a seat in the Senate. Chel Diokno – Atty. Diokno will take a Senate bid for the first time this Election 2019. He is the son of former Sen. Jose Diokno. Marilou Arroyo-Lesaca – Based on the report, she is related to former President and now House Speaker Gloria Macapagal-Arroyo. She filed her candidacy for Negros Occidental 5th district representative.